Inodes are responsible for maintaining all your files and folders information, such as the owner, size, permissions and an array of other important info responsible for ensuring the site runs and can access what it needs and when. Your inode count is always equal to the number of files and folders you have within your cPanel. This includes images, data and configuration files as well as emails. Why do we have a limit? Every time a file is opened or used, that file’s unique inode is read by the kernel of the server. The more data and folders you have the more inodes, and subsequently, the more server resources are consumed. Particularly in a shared hosting environment with active virus scanning, backups and other services/scripts. This is why it’s necessary to limit inodes to ensure users in a shared environment are all given a fair and equal space to use the server effectively. Why do my inodes keep filling up? Because inodes are related to every file and folder within your hosting sometimes it can be tricky to track down where they are originating from. Luckily we have a few tricks up our sleeves we can use to provide a full directory listing of your inodes. This is great for tracking down inode usage when looking to clear data from your hosting account. The output of which would look like the below. We can then further investigate subfolders for larger directories until the location is discovered. The most common cause of inode increases is archived email (particularly in the default email account within cPanel’s Webmail), caching (particularly in Magento) as well as duplicates of sites from cloning tools or custom, made staging sites. Why did my site stop working when I reached my inode limit? Inodes are used for every file and folder and this includes temporary files and folders used by your site to function. These are created and removed often without you even noticing as the site functions. However, if your inode limit is at capacity it’s unable to create these temporary files and folders and as a result, these processes that previously worked autonomously fail to function. This is why it’s always advisable to try and leave a buffer rather than utilising the entire capacity of your hosting. 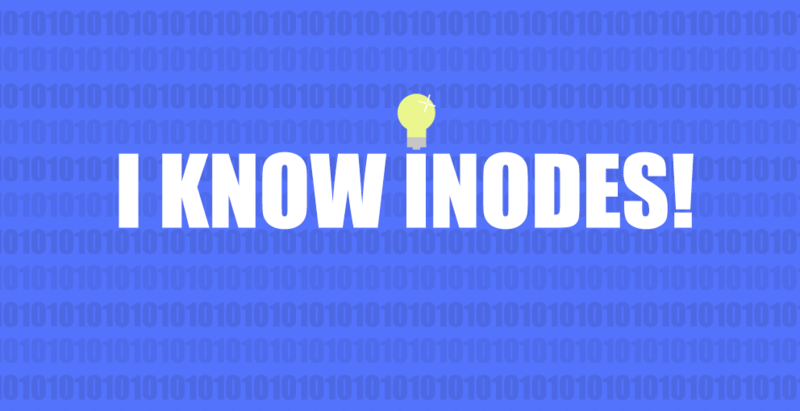 Inodes are incredibly important and whilst they may not get the same limelight as other resources such as CPU and Memory ensure you’re always checking on them as the silent protectors of your sites critical file information. Never forget that our technical team are only a phone call or eTicket away from helping you investigate your inodes should you notice you’re nearing the hosting capacity.